Silicone- rich formulation creates a breathable water resistant film over skin as it moisturizes and nourishes. 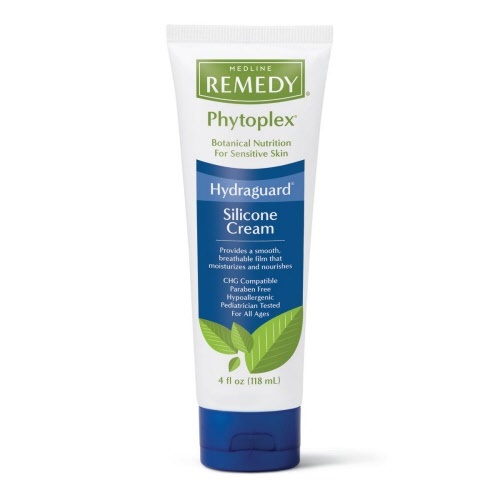 24% silicone blend helps resist moisture loss. Appropriate for perineal care since it forms a moisture resistant film over skin. Reduces appearance of red cracked and scaly skin while soothing dry and itchy skin. Rich in oleosomes: naturally encapsulated safflower oils that release over time. Gentle enough for use on the most fragile skin, suitable for neonates, diabetics and geriatrics. Nourishes the skin with the proprietary Phytoplex blend of botanicals.